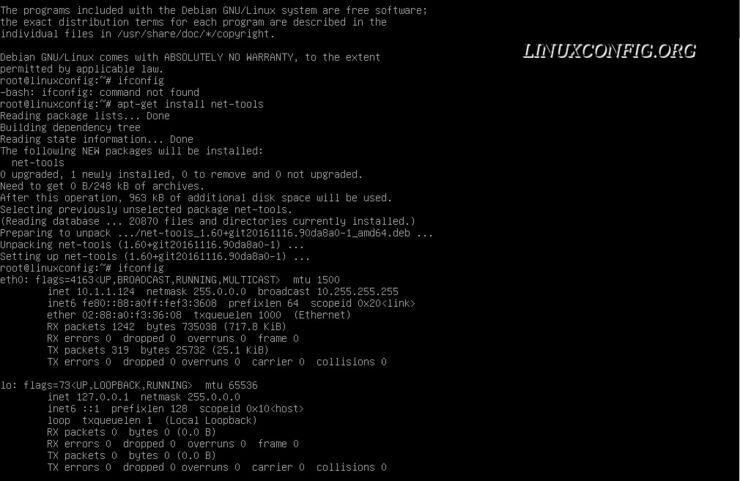 The ifconfig command has been deprecated and thus missing by default on Debian Linux, starting from Debian stretch. If you still prefer to use ifconfig as part of your daily sys admin routine, you can easily install it as part of the net-tools package. The ifconfig command is now available.